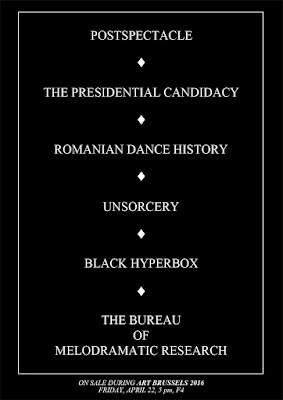 In the last 10 years entities with a complex esthetic operativity emerged in the zones of dance and visual arts of Bucharest. The names of the entities are often the symptom of a problem or a question: they may function as a reaction, as almost empty concepts in the beginning, triggering practices afterwards. They are esthetic compositions of people, processes, capacities, frames, concepts, behaviors, attitudes, affects. They are conceptual operations that function as platforms, as ecosystems, as wholes, that precede the details, as esthetic artificial organisms. They are art worlds. 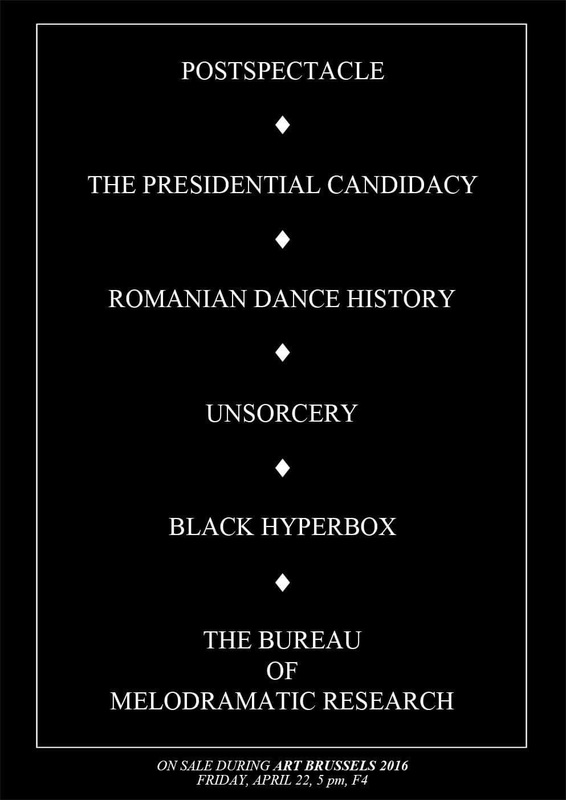 Esthetic Entities as Presidential Candidate, Unsorcery, The Bureau of Melodramatic Research, Black Hyperbox, Romanian Dance History, Postspectacle, are for sale. They were for sale at Black Market Art Brussels and online.